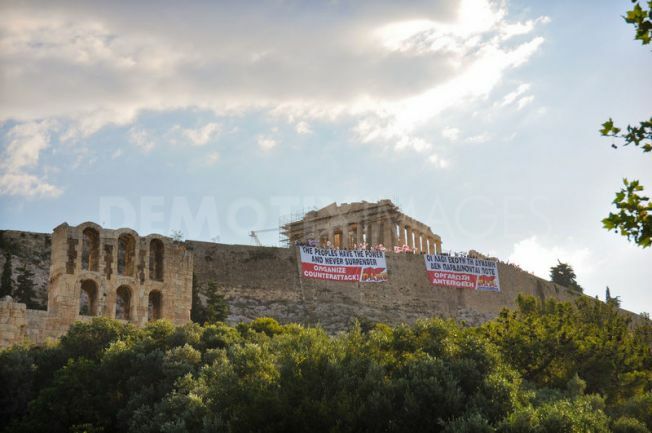 Around 300 members of the Communist trade union PAME (KKE), erected a poster over Acropolis, protesting against an austerity package imposed by foreign creditors to avoid defaults. Athens, Greece. 27th June 2011. Banner in Greek and English: "The peoples have the power and never surrender. Organize counter-attack". 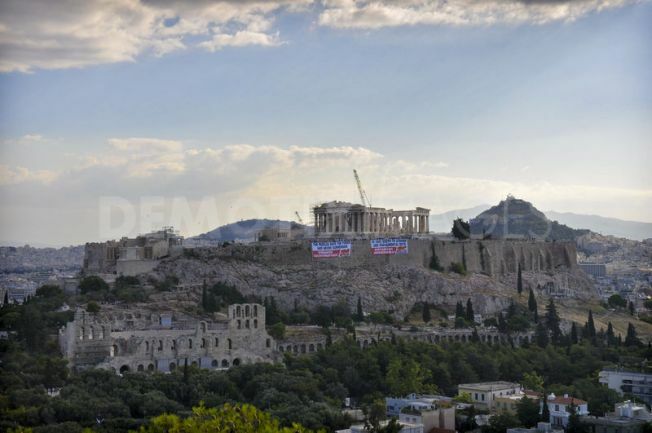 Panoramic view of Acropolis with the banner. Early Monday morning, about 300 members of the Communist trade union PAME (KKE), put up a giant poster over Acropolis, protesting against an austerity package imposed by foreign creditors to avoid default. The banner said in Greek and English: "The peoples have the power and never surrender. 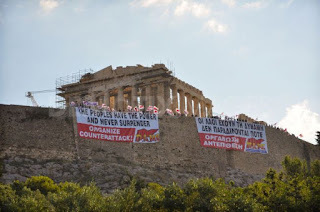 Organize counter-attack". 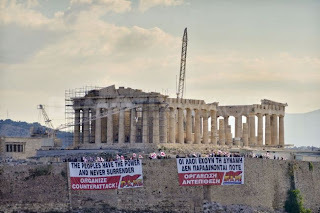 Trade unions have called a 48hour general strike on Tuesday, against the new austerity measures expected to be voted this week by the Greek Parliament, and privatisation plans that the EU and IMF have demanded .